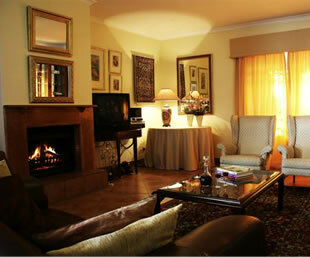 Coronata20 is an up market B&B situated in a peaceful residential area of Paradyskloof, yet is only minutes away from the centre of the beautiful university town of Stellenbosch, the second oldest town in South Africa. Paradyskloof is a tranquil residential suburb of Stellenbosch which is next to the R44 main road that links Stellenbosch with Somerset West. It is only 5 minutes drive from the Stellenbosch town centre, 15 minutes drive from Somerset West, 20 minutes drive from Cape Town International Airport and 30 minutes drive from the city centre of Cape Town. Paradyskloof is also nestled between rugged Stellenbosch mountain slopes and picturesque vineyards of numerous well known wine farms. 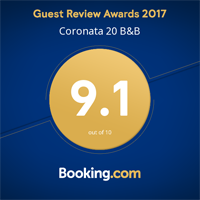 Coronata20 B&B is a base from which guests can visit the nearby Technopark for corporate business, excellent golf courses and other attractions in the region. 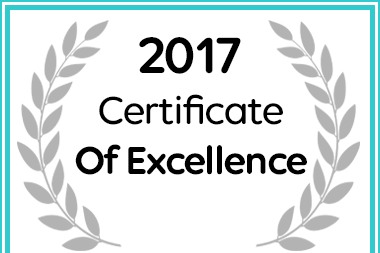 In recognition of exceptional service Coronata20 B&B in Stellenbosch has been awarded a Certificate of Excellence.